Oso Easy Pink Cupcake from Proven Winners rebels against the idea of roses being difficult to grow. The pink flowers with a touch of coral bloom all season without deadheading. The clean, disease-resistant foliage has reddish new growth. Oso Easy Pink Cupcake Landscape Rose from Proven Winners produces hot pink, disease-resistant flowers and reblooms until late summer. This plant is salt tolerant and deadheading is not necessary. Prefers full sun (6+ hours) and moist, well-drained soil. Grows to be 2-4 feet tall and wide. At time of shipment, this plant will be about 6 months to 1 year old. Blooms from early to late summer. Pruning generally not needed but may be shaped in spring. 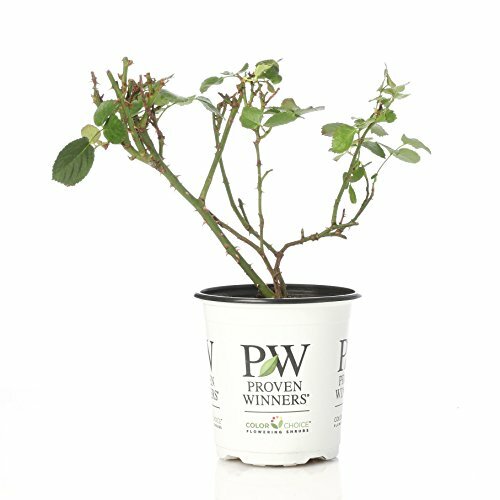 Quart shrubs are 5-10 inches tall when they are shipped, depending on the season. Hardiness zones: 5-9. Be sure to check your USDA Hardiness Zone if you want this plant to come back year after year. Hand-picked by experienced shippers and delivered fresh from the greenhouse in a 4.5 in. quart container. Plants shipped from November through March will arrive dormant. This rose looks great in a container, as part of a mass planting or landscape, or as a specimen or focal point.